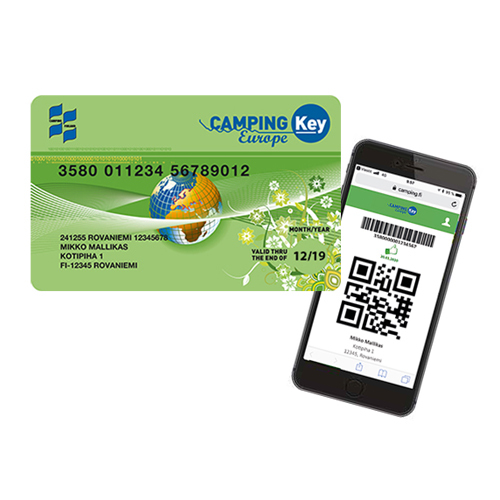 The Camping Key Europe (CKE) card has been introduced in Finland and the rest of Europe. The CKE card can be used in 20 European countries and over 3000 camping sites. The period of validity, the year 2019, is printed on the card.